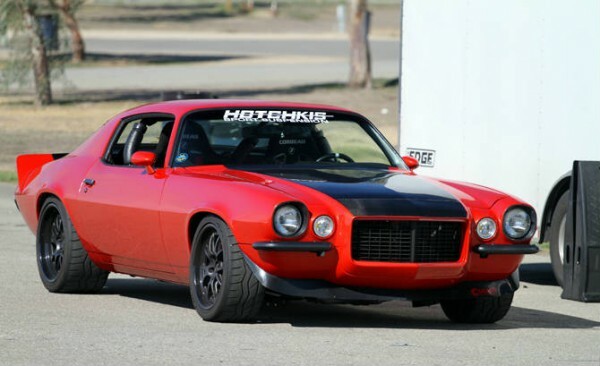 Mary Pozzi Fully Functional Chevy Camaro: Video Inside! Mary Pozzi is one of the most influential women out there. The point of Pro Touring cars that appeared in the 1990s was rather clear- take an old Muscle Car and make it able to perform as a new modern one. These Pro Touring cars were supposed to have ability to drive a lot without any problems. If you take a stroll at the SEMA Show, you will notice a lot of Pro Touring models all with different size of brakes, wide tires and a lot of other alterations. Of course, a lot of effort, staff and money are entrusted in these cars. But, the real question is, are they going to be used? It may be hard to imagine, but we are now going to take you to a lady that uses her `73 Camaro. The name of the lady is Mary Pozzi. She underwent studies in automotive technology. Up to now she has taken part in 11 national championships in SCCA Solo competition and of course, she was the one to drive the car. She also likes to offer people drive along and to help others to master their technical skills. Mary bought the Camaro in 2002 and her husband David helped her a lot so that she can make the car just as Mary wants it to be like. In 2010 Mary Pozzi drove the Camaro at the Goodguys Autocross in Costa Mesa. After this event she decided that there are some changes that must be introduced to the car, one of them being making the car lighter. She achieved this thanks to the help of the team from Anvil Auto. The stock trunk, the central part of the rear spoiler, the nose, the hood and the inner fender panels have had their OEM steel changed with Anvil carbon fiber. Furthermore, the engine was also altered and all this contributed to the car to lose 200 lbs and to have a total weight of 3,300 lbs. As for the engine, but after the remake it features a LS2 engine able to develop 620hp. It is very interesting that the LS2 was previously part of the “Bad Penny” Camaro of Steve Rupp. The LS 2 is paired with a T56 Magnum transmission with 6 speeds. Mary`s Camaro features Baer brakes and she had wheels changed, too. The Camaro now has 18 inch Forgeline wheels. In conclusion, Mary has taken care when racing all the parts to be able to give the maximum. As for the tires, they may not be fully satisfactory according to the standards of Pro Touring, but they are perfectly becoming o the vehicle. The trunk, to continue, is big enough to put grocery bags in it. Now, let`s pay a bit attention to the car`s interior. The backseats are disposed of, while the cockpit is very unique. Instead of the factory elements, Autometer Phantom gauges have been installed. When you see the vehicle, it looks like an ordinary street car rather than a racing beast. However, this is a high-quality, well-functioning and a very hip car. Finally, look at this amazing collection that this women possesses on this link!